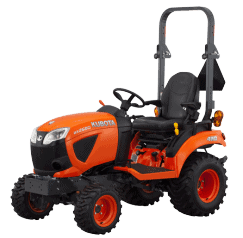 From mowing lawns to moving soil, slashing paddocks or digging a trench, Kubota’s BX series is the all-rounder for lifestyle property maintenance. Compact in design yet powerful in performance, the subcompact BX series tractor range is designed to tackle a range of jobs with ease. Boasting exceptional manoeuvrability, even in the tightest of spaces. With dimensions similar to a lawn tractor, the BX series is easy to manoeuvre and offers smooth operation even in tight spaces. Due to its compact size, the BX is incredibly gentle on turf. The rugged and sturdy 4-wheel drive provides powerful traction for heavy duty front end loader work and rear implement work. Cruise control automatically maintains a constant speed, letting you take your foot off the forward pedal. 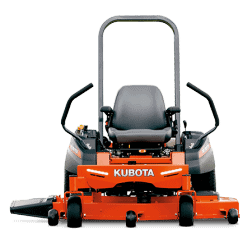 It’s an easy way to mow large areas or travel long distances. Featured are large angled lever guides for hassle-free shifting, fast lever recognition and easy operation. Switching between mowing lawns and front-end loader work has never been easier thanks to the BX’s quick connect implements. 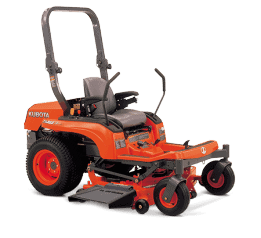 3-blade mid mount mower decks offer a wide cutting area, allowing you to cut more grass in a single pass. 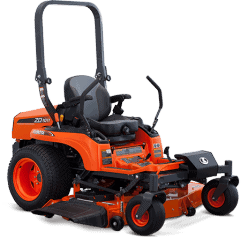 54” or 60″ mower decks are available.